Living in the modern world with the benefits of instant communications provides benefits and some drawbacks. The ability to instantly obtain the answer to a nagging question you might have, or to contact a person, is certainly beneficial. However...have we become addicted to our devices and have we lost our ability to become disconnected from the world...even for a few hours? In John W. Derr's time, the pendulum was swung in the opposite direction with the ability to obtain information in a time frame necessary to ease concerns or to interrupt a boring day was...at times...frustrating. 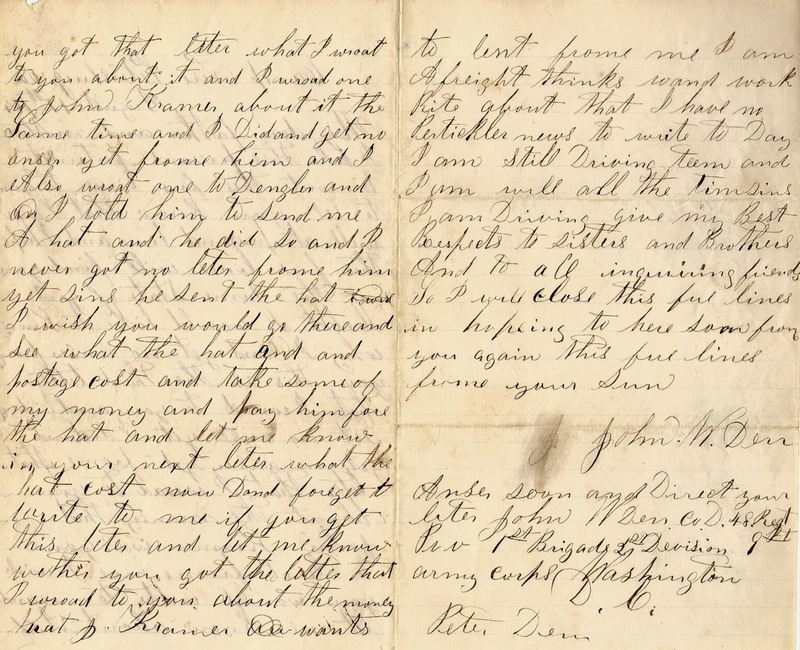 Letter #39 is just one example of this type of frustration seen by many soldiers during the Civil War. 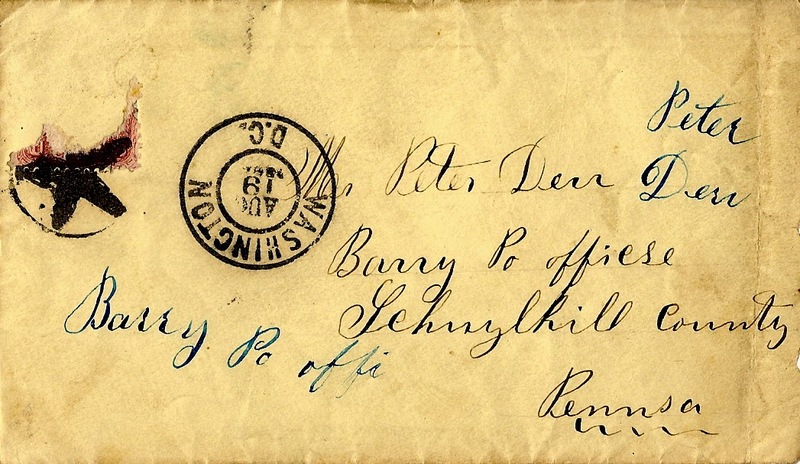 The slowness of the mail system during the 19th century, coupled with the interrupts to delivery caused by the affects of war, made the loneliness and homesickness of the war even greater. It has been two months since John instructed his father to lend money to a John Kramer. 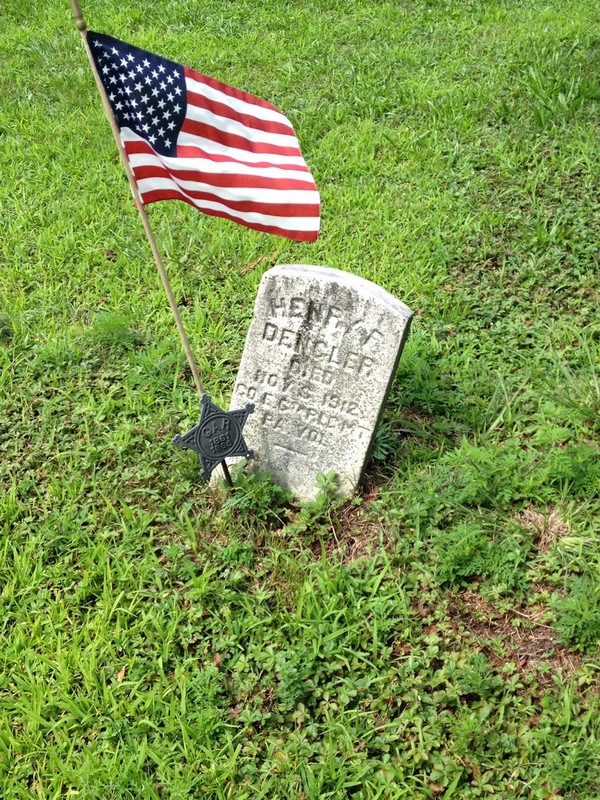 Additionally, he had requested that a hat be purchased and sent to him from Mr. Dengler (father of Henry F. Dengler from prior letters). 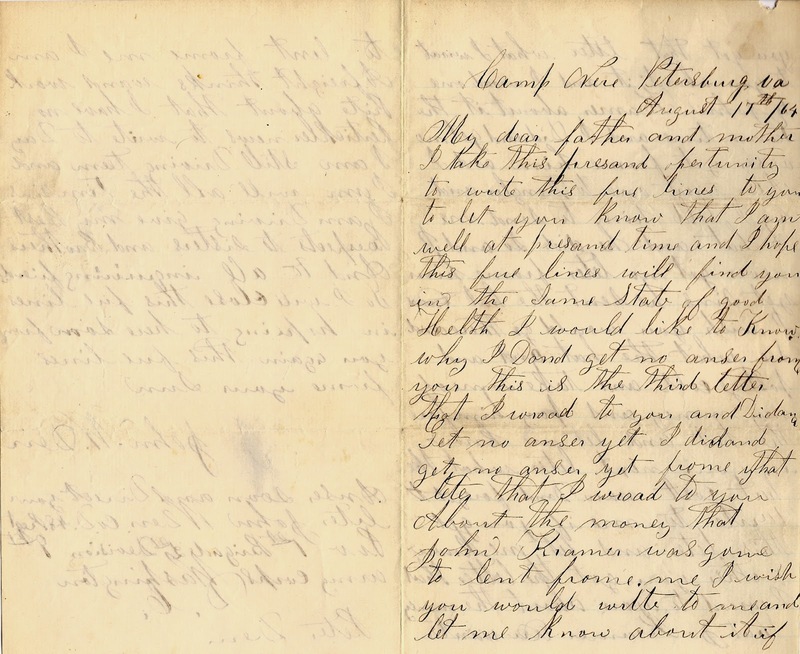 Since his original letters were written on the subject, John has had no word from home. Repeated letters to home asking about these two requests, have at this point, not been answered. You can see the frustration in this letter. Now...I know that he knew that the problem was not with his parents...as they were faithful correspondents to John...rather with the postal system during the war. We have previous examples of this frustration seen in his other letters. The ultimate result was a bundle of letters coming from home that had been held up in transit. It would appear that John is most concerned about the loan he promised John Kramer. He seems to be having second thoughts about lending him money...which happens when one ponders a decision made over a long period of time...a type of post purchase regret. I take this present opportunity to write this few lines to you to let you know that I am well at present time and I hope this few lines will find you in the same state of good health. I would like to know why I don’t get no answer from you. This is the third letter that I wrote to you and didn’t get no answer yet. I didn’t get no answer yet from that letter that I wrote to you about the money that John Kramer was going to lend from me. I wish you would write to me and let me know about it if you got that letter what I wrote to you about it. And I wrote one to John Kramer about it the same time and I didn’t get no answer yet from him and I also wrote one to Dengler and I told him to send me a hat and he did so and I never got no letter from him yet since he sent the hat. I wish you would go there and see what the hat and postage cost and take some of my money and pay him for the hat and let me know in your next letter what the hat cost. Now don’t forget to write to me if you get this letter and let me know whether you got the letter that I wrote to you about the money that J. Kramer wants to lend from me. I am afraid things won’t work right about that. I have no particular news to write today. I am still driving team and I am well all the time since I am driving. Give my best respects to sisters and brothers and to all inquiring friends. So I will close this few lines in hoping to hear soon from you again. This few lines from your son. Answer soon and direct your letter John W. Derr, CoD 48th Regt Pa., 1st Brigade, 2nd Division, 9th Army Corps, Washington D.C.